The "2nd Hundred Words" series is made up of 8 story books that are written using only 216 most commonly used chinese words. It allows children to practise words recognition through reading. Hanyu Pinyin phonetics, stroke order and notes on intonations are provided in the text books. 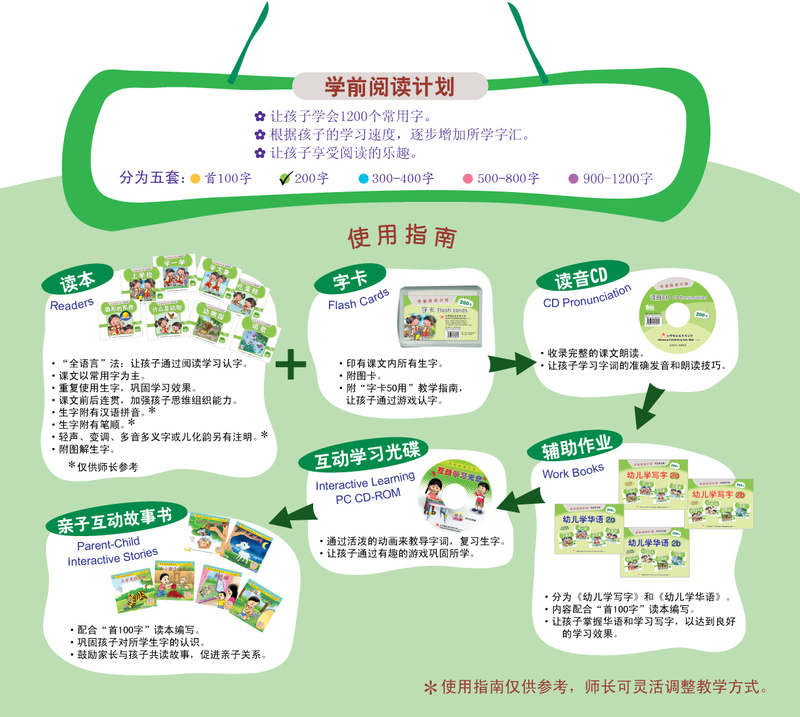 Besides the readers, the "2nd Hundred Words" series could be added with flash cards, pronunciation guide in audio CD, workbooks, interactive learning CD and parent-child interaction story books for extra interactions between parents and children.